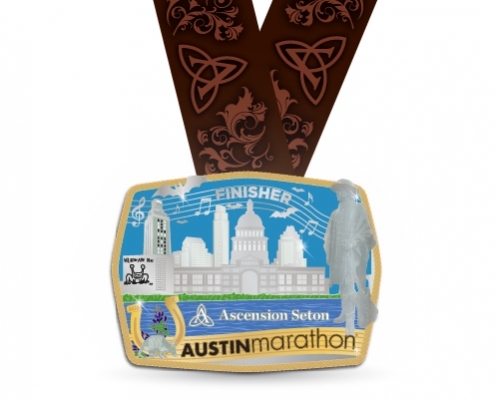 ALVIES is the Official Boot and Belt Sponsor for the Austin Marathon! 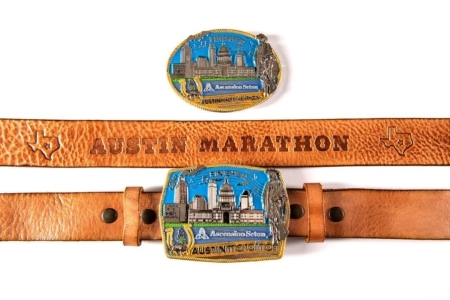 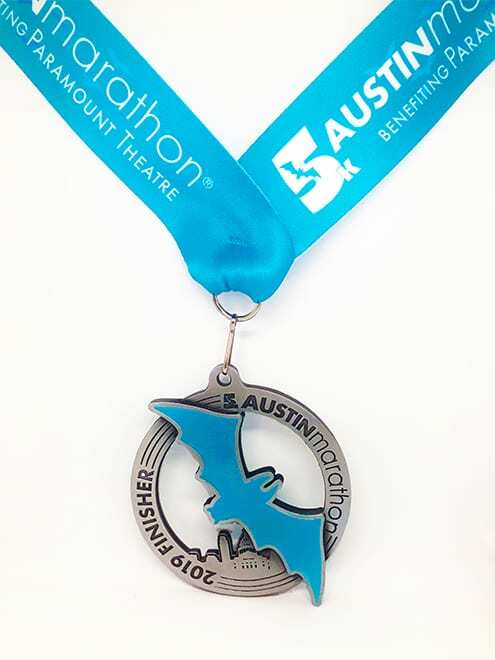 ALVIES worked very closely with the Austin Marathon to design and produce a high-quality leather belt that looks great with the belt buckle-inspired finisher medals that will be given out at this year’s race. 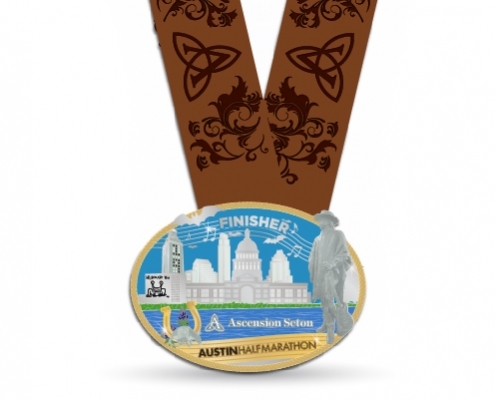 We engraved “Austin Marathon” and two large Texas Stars into the leather so it really gives finishers a way to show off their accomplishment in a fun and cool Texas way. 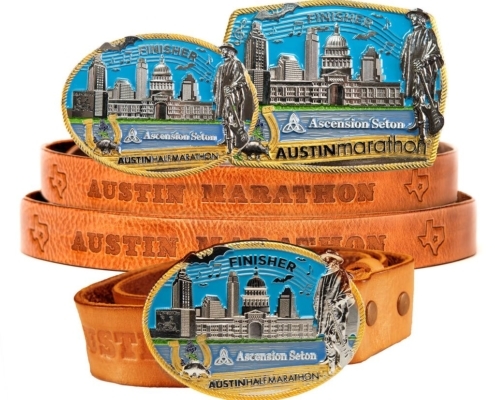 Belts (without buckles) are currently available for pre-purchase online and will be available for pick up at the expo and during race day. 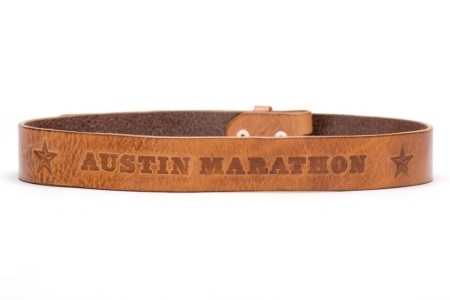 There is a limited supply of only 200 leather belts so get them now and show off your hard work for years to come.